We hear a lot about the different kinds of trusts, and one kind that’s spoken about often is a living trust. Living trusts have a number of advantages, which make them beneficial for those who want tangible asset and estate planning advantages immediately. We normally think of a trust as something we set up when we pass. In other words, we may say that when we pass, we want certain assets put in a trust and administered a certain way. But living trusts ask, “why wait?” They are trusts that are created while you—the person funding the trust—are still alive. The trusts not only have to be created, but the assets need to be transferred into the trusts while you are alive. 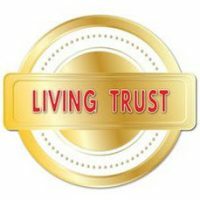 There are many kinds of living trusts, including revocable or irrevocable, but so long as they are set up when you are alive, they are living trusts. Living trusts have a number of advantages. First, they may allow you to avoid probate or guardianship. For example, if a minor was to inherit property after you pass, guardianship issues may arise. But if property is transferred into a trust while you are alive, and the trust provides for a minor, when you pass, there is no need for the guardianship—or any fighting about how or when the minor will receive or use the funds. Avoiding litigation also adds extra privacy. If assets don’t have to be administered through a court process, there is a greater chance that wills, estate plans, and details of assets aren’t disclosed in public records. However, in some cases you may want a probate case opened, because it greatly reduces the amount of time that creditors have to make claims on the estate. Having a living trust doesn’t prevent you from subjecting your estate to probate and reducing that time limit. It may, however, reduce the chance of having any challenges to distribution of your assets asserted if the estate is probated. Thus, you may get the advantage of reduced time for creditor claims without the risk of in-court challenges. For each named beneficiary in a living trust, the FDIC also provides additional protections—up to $1.25 million, as opposed to the standard $250,000 per account. A living trust also can be beneficial in case you’re incapacitated. A will does not take effect until you actually pass. So what happens if you suffer a long term incapacitation? A living trust will be there administering your assets per your wishes, even if you’re incapacitated. It’s a way of ensuring that your beneficiaries and property are taken care of in case you can’t do it. Use all the legal tools you can to ensure your property and family are safeguarded. Contact Tampa business attorney David Toback to discuss a comprehensive will and estate plan for your family.